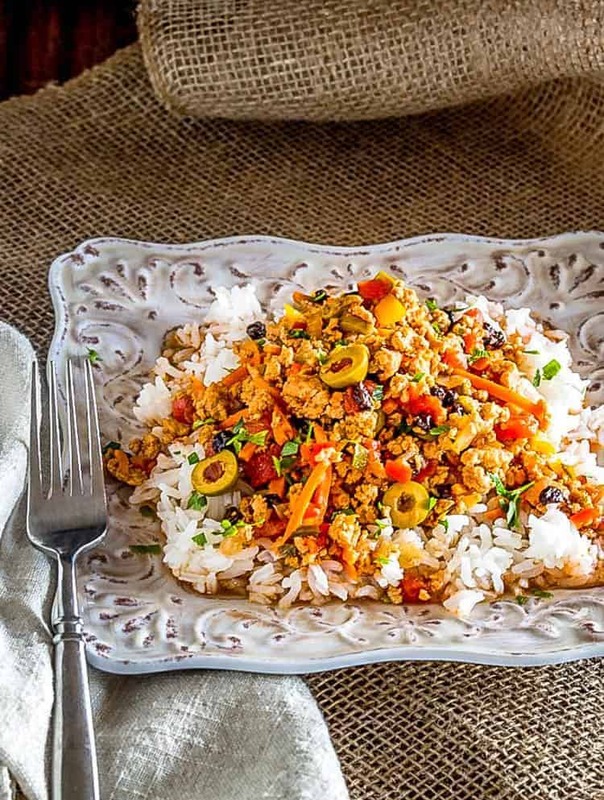 A healthy picadillo with the vibrant flavors of Cuba – garlic, onion, bell pepper, oregano, cumin, and bay – in a healthy, well-balanced dish… Healthy Picadillo (Cuban Style) can be on your dinner table in 30 minutes! Picadillo refers to a hash of (typically) minced (ground) beef and vegetables. I consider it to be a “comfort food” type of dish. It is not particularly fancy or difficult to make, but is flavorful, filling, and inexpensive to make. Garlic, cumin, oregano, and bay find their way into most Cuban dishes. A sofrito is a frequent addition to many Cuban dishes; it most likely consists of bell pepper, onion, garlic, oregano, and black pepper sautéed in oil until the onion and garlic are soft and translucent. 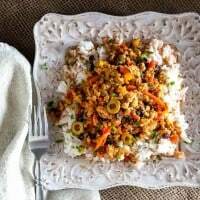 I came across the Cooking Light recipe for Healthy Picadillo back in the day when I still subscribed to print magazines, and the recipe became a family favorite. I have made it with lean ground beef, ground turkey, ground pork, and most recently, with ground chicken thighs. I spotted in-house ground chicken thighs at my local natural foods market recently, and had to try it. While I enjoy chicken breast when properly cooked, I always prefer the flavor and moistness of the thigh meat. I was really pleased with the flavor and texture in my Healthy Picadillo. I stay fairly true to the original recipe, but usually substitute currants for the golden raisins, and vary the ground meat. I love to add 3 to 4 jalapeño chiles, but they’re optional and not at all authentic! Matchstick carrots are a great time saver, and I have gotten to where I keep a bag of them in my refrigerator. The leftovers make a great lunch the next day, or freeze beautifully for another meal at a later date. If you’re on a restricted diet, Healthy Picadillo is gluten free, low fat, quick, and delicious! With a pot of rice, this makes a very well-balanced one-dish meal. We love it with a dry, crisp rosé (Spanish is perfect). 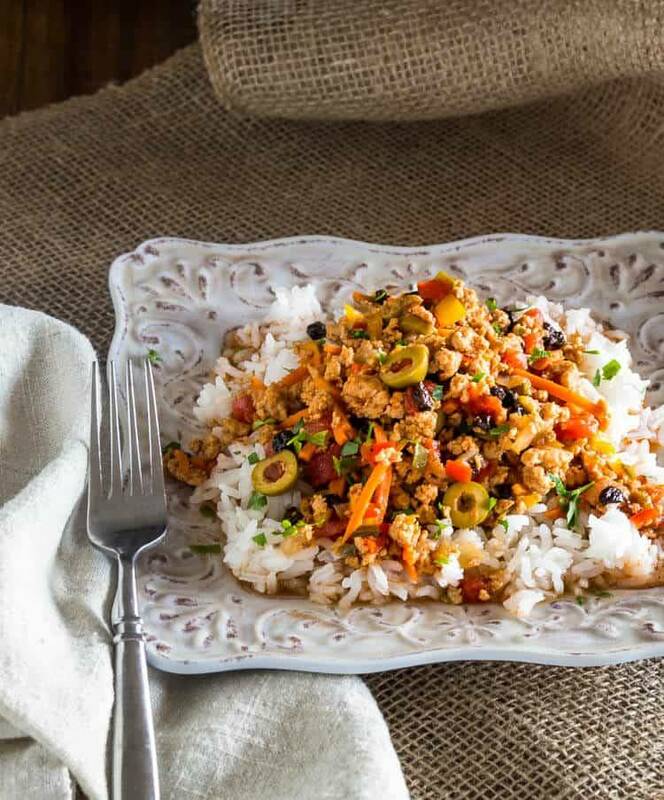 Liven up your weeknight menu with my Healthy Picadillo (Cuban-Style)… You’ll be glad you did! 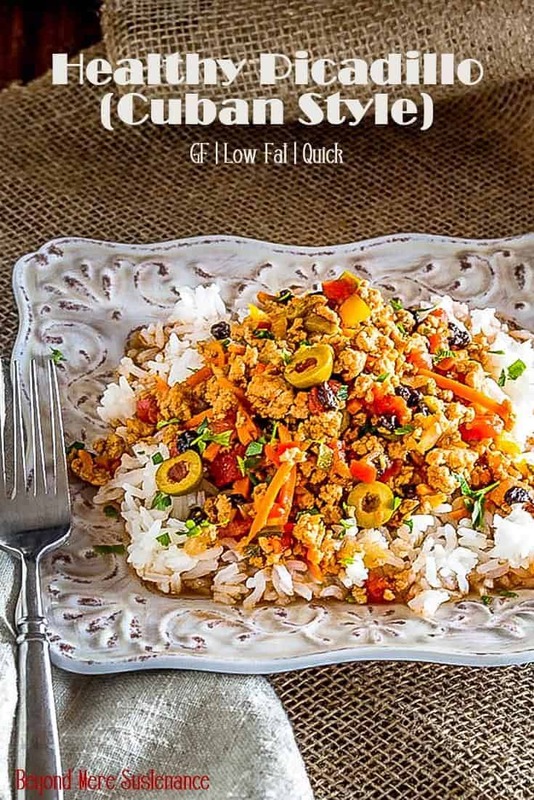 A flavorful Cuban-style picadillo seasoned with a sofrito (onion, garlic, peppers), oregano, cumin, and bay... Serve this healthy dish over plain rice or rice and black beans. 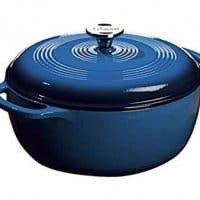 Add olive oil to a heavy dutch oven, and heat over medium-high heat. Add ground meat. Begin to break it apart (I like my potato masher for this). When meat begins to brown add onion and garlic. When meat is completely cooked, and onion is soft, continue. Add the bell peppers and carrots. Saute them about 3 to 4 minutes. Add remaining ingredients. Bring to a boil, then reduce heat to a simmer. Cover, but stir occasionally. Simmer until vegetables are tender - about 15 minutes. Discard bay leaves and check for seasoning. Enjoy over plain rice or rice and black beans. Matchstick carrots are widely available in markets now, and they're a huge time saver for both prep and cooking time. I hate getting crunchy carrots in a dish like this, so I always use them. A fine dice works too, but be sure to check that they are tender. Use your preferred diced or stewed tomatoes. I love Pomi petite diced tomatoes in their juice found in the Italian section in a carton. As I mentioned, I usually use currants, but the original recipe calls for golden raisins. I have also used regular raisins and even craisins. Jalapenos are optional, but I like a little heat in this. 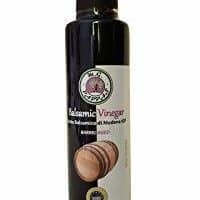 You can also use a dash of your favorite pepper sauce, or a little crushed red pepper. Macronutrients from Cooking Light: 280 calories; 26 g protein; 24 g carbohydrates; 9 g fat. Macros do not include rice! Amazing recipe! Thank you for all the great information! I had one question, does the nutrition facts include the rice or is it just the meat? Thank you Fabiola! In this case, the nutrition info does not include rice or beans because they're optional and not included in the ingredients. If I list rice in the ingredients, I will typically include them in the macronutrients. Thanks for asking such an important question! Love your recipe for picadillo! It's been ages since I've made one. Your post reminds me how good it is and how much I miss it. It is definitely a wonderful comfort food. I really like the flavors of Cuba and this dish looks so delicious. Comfort food at its finest and definitely colorful and healthy...perfect! 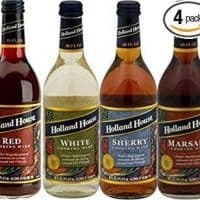 Can't wait to try!! I think lots of color on the plate is so much more appealing... Thanks Sarah! I agree with you about colorful cooking. Visual appeal is a huge aspect of the enjoyment of food. Your notes are handy and filled with good information. You are so right Annemarie!